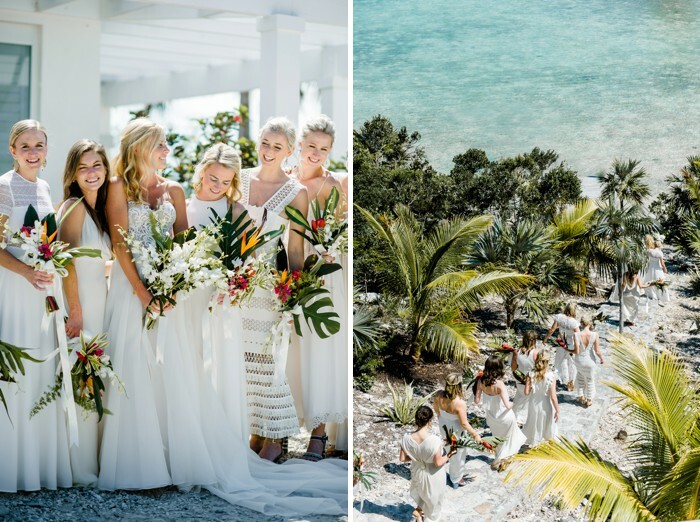 A Great Exuma Wedding was a natural for Capel and Ross. Capel spent a lot of time on Great Exuma growing up as a child. Her parents own a home on the island thus her love for this paradise. 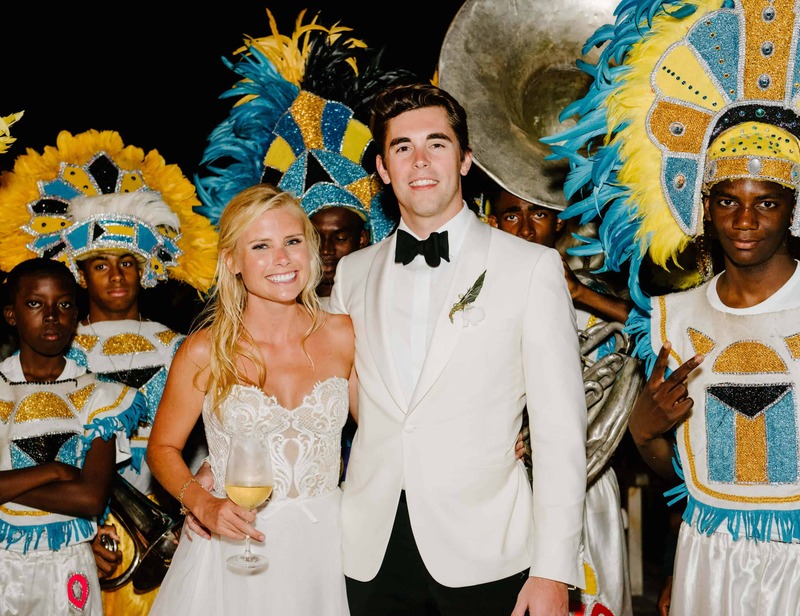 Two hundred family members and friends traveled to Exuma to share in this couple’s four-day weekend celebration. And, what an amazing weekend everyone had! Blue skies, warm weather, gorgeous venues and cuisine made for a perfect combination. 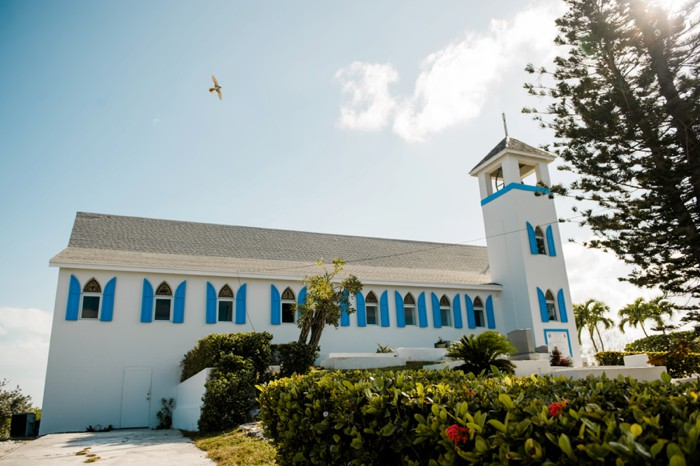 Capel and Ross were married, Saturday, March 17, 2018, at the picturesque St. Andrew’s Anglican Church, Georgetown, Exuma. The wedding date was nearly four years after the couple’s first date. An avid runner, Ross was training for the New York City Marathon. On the morning of July 7th, he told Capel to be ready for a 6 p.m. date. Meanwhile, he set out on a 12-mile run. However, by 6 p.m., he was ready for their date! The two hopped in a cab. At Battery Park, Capel sighted a boat and captain awaiting them. She immediately knew that something was afoot! Navigating around the Brooklyn Bridge, the driver stopped the car. Ross jumped out and got down on one knee. The remainder of the evening was spent in an Upper East Side Cafe. A romantic celebration followed. Live music, Champagne … a beautiful memorable evening they’ll never forget! Capel’s sweet spirit shone through the entire weekend as she left no stone unturned in ensuring that her family and friends enjoyed the best destination wedding weekend ever. This beautiful bride wore a stunning, light Reem Acra dress and veil. The gorgeous lace bodice perfectly fit her petite physique. The flowing skirt was a lovely catch for the slight breeze. The bridesmaids wore all different white dresses that they personally chose. 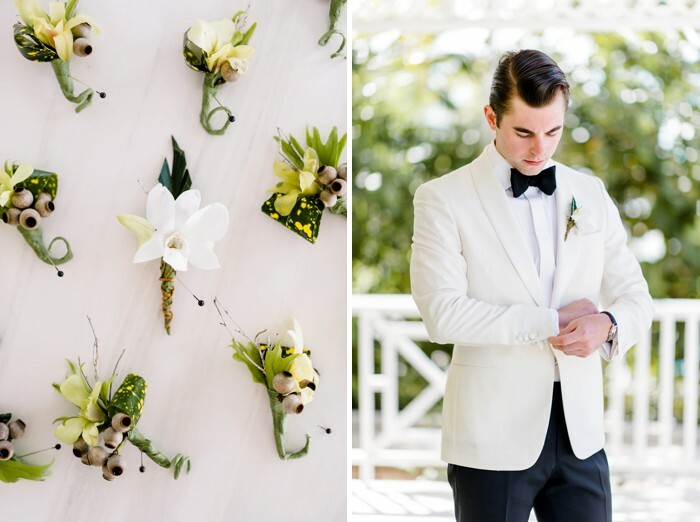 The dapper groom wore a white dinner jacket and black slacks. Exuma wedding venues are special. 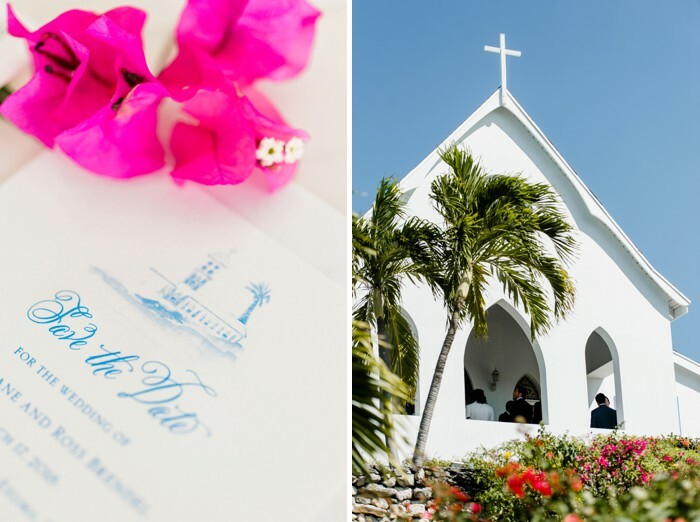 Following the St. Andrew’s Church ceremony, guests were transported to Turquoise Cay, the reception location. 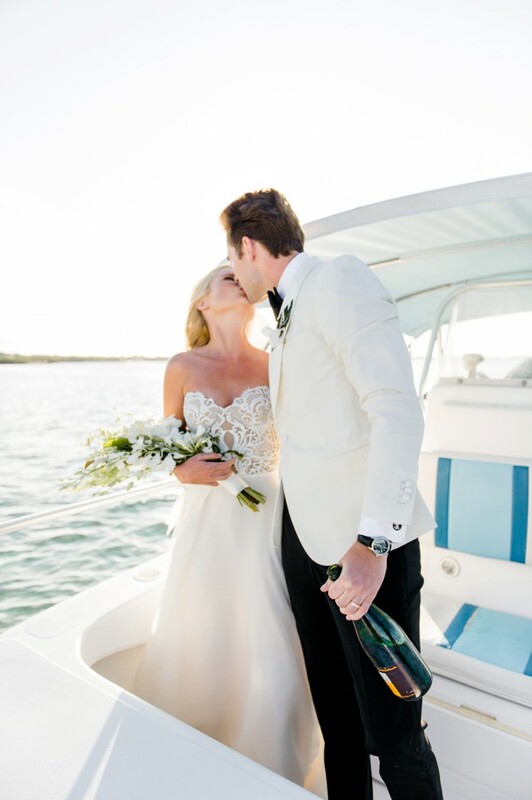 The bride and groom arrived at the reception venue by boat. A grand time was had by all at this private, secluded spot. Guests indulged throughout the evening on stations and libations. 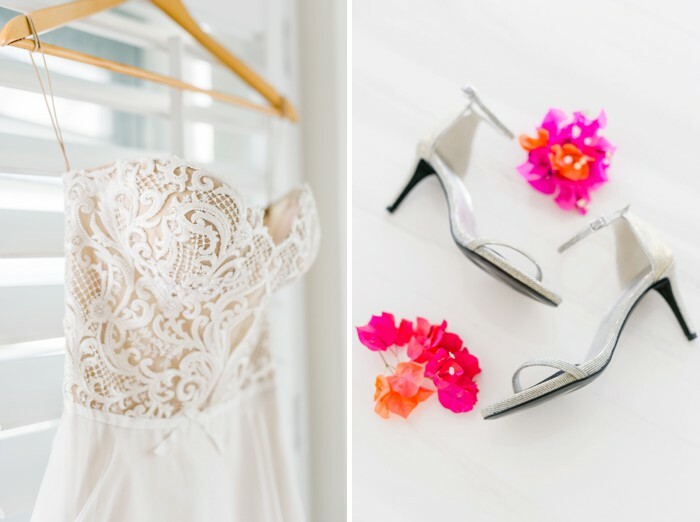 Exuma wedding photographer Caroline Lima beautifully captured the festivities. It was such a great pleasure to work with her! 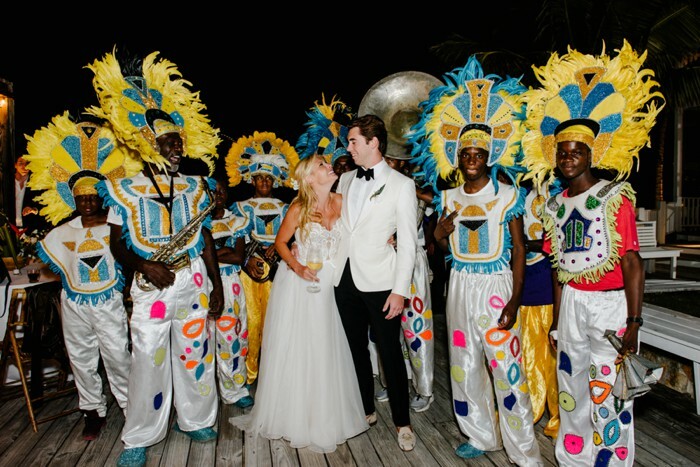 No Exuma destination wedding is complete without live music and Junkanoo. Michael Hoyte, steel pan artist extraordinaire delighted guests throughout cocktail hour. Tropic Breeze Band followed. Then, to the surprise of guests, Junkanoo popped out. The sounds of goatskin drums, horns, whistles, cowbells brought guests, young and old, to their feet. DJ Schuller wowed the crowd as they danced throughout the evening. Next day, Capel and Ross were off on a honeymoon in South Africa. We wish this awesome couple many years of blessings, joy, and love! 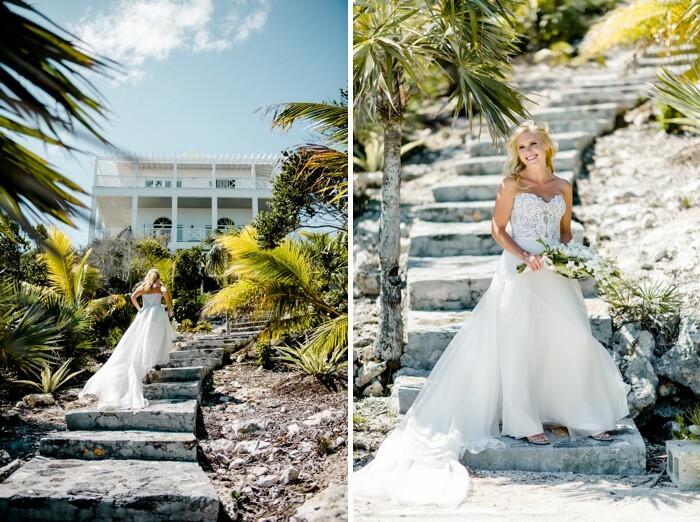 Contact Chic Bahamas Weddings today to begin planning your Great Exuma wedding!